Today there are ten million immigrants living in Germany, accounting for 13 percent of the whole population. At the same time, immigrants often seem to perform relatively poorly in the labor market. This is also true for Germany, where even second-generation migrants face lower employment rates and earn substantially less than natives. In a new IZA discussion paper, Christina Gathmann and Nicolas Keller analyze whether a more liberal access to citizenship can improve the economic integration of migrants by estimating the effect of becoming a German citizen on the labor market performance of migrants. 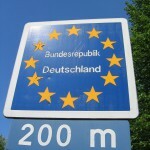 For identification, the researchers use changes in the German immigration law. From 1991 until 1999 immigrants younger than 23 had to live in Germany for eight years in order to become eligible for citizenship. Older immigrants needed 15 years in the country. So for siblings who were 14 and 16 years old when they arrived in Germany in 1983, the younger one could have become a citizen in 1991, while the older one would have had to wait until 1998. From 2000 on, the waiting period was reduced to eight years for everyone. The authors find that especially women gain from naturalization, while the effect for men is negligible. Moreover, returns are also larger for more recent immigrants, but essentially zero for traditional guest workers. Gathmann and Keller demonstrate that the wage and employment gain for naturalized women can neither be explained by becoming eligible for certain governmental jobs nor by improved language skills. Instead, these women switch from jobs with temporary contracts to those with permanent ones, and work at larger firms, both of which is typically associated with higher earnings.